Exclusively ours. 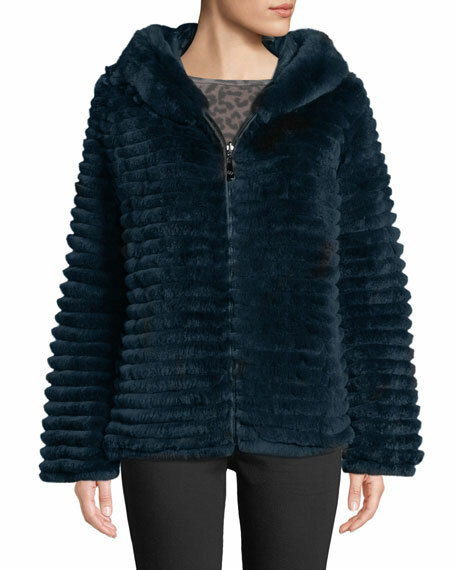 Belle Fare reversible down-fill and dyed rabbit (Spain) fur jacket. 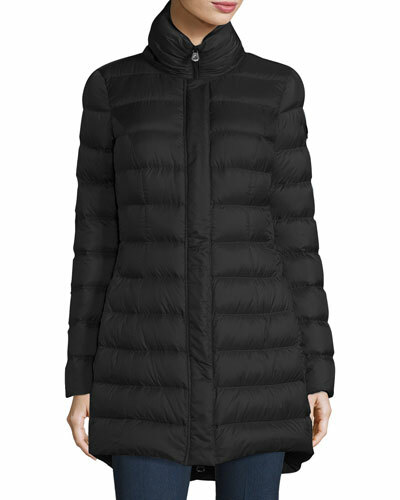 Hooded collar; zipper front. Long sleeves. Side welt pockets. Standard silhouette. Below-hip length. Nylon/polyester shell. 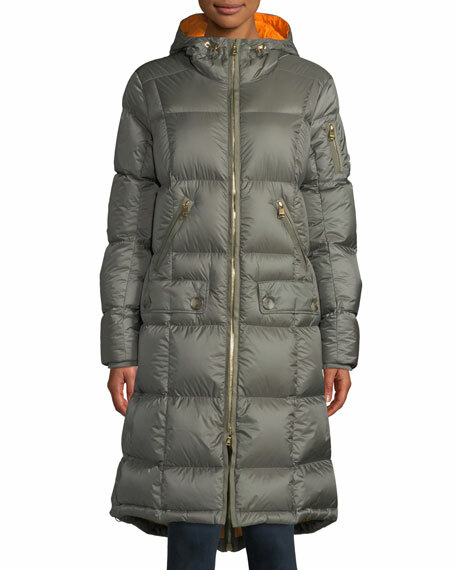 90/10 goose down/feather fill. Dry clean. Imported. 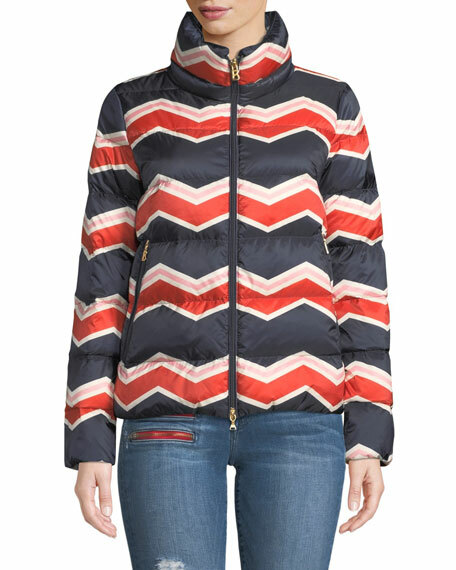 Bogner Woman "Ivy" chevron-print puffer coat. Features logo text at back neck. Stand collar; two-way zip front. Long sleeves. Standard fit. Side zip pockets. Hip-length hem. Duck down fill. Nylon shell. Polyester lining. Dry clean. Imported.